This tutorial will show how the creation of one model supports the generation of several views. 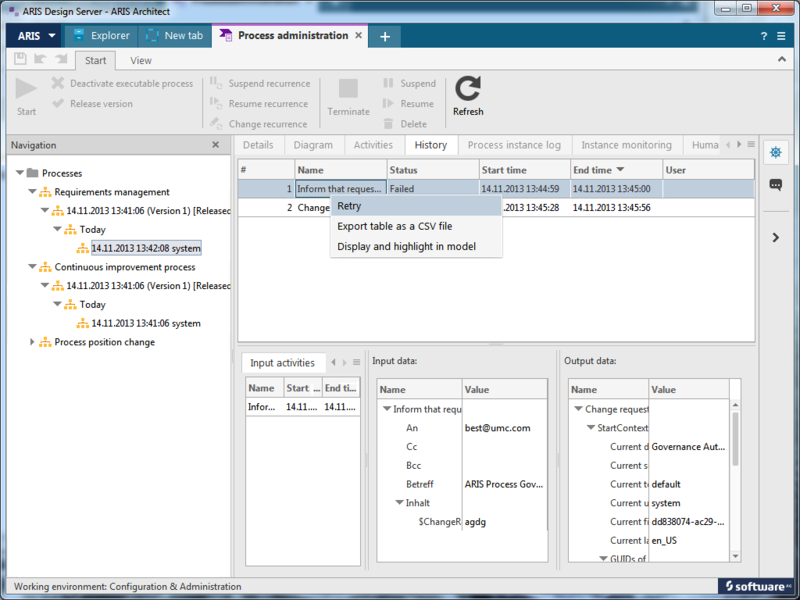 This video tutorial shows how to use ARIS Connect with an "ARIS Connect Viewer" license. This video tutorial shows how to find problems in processes and correct processes in Process administration. 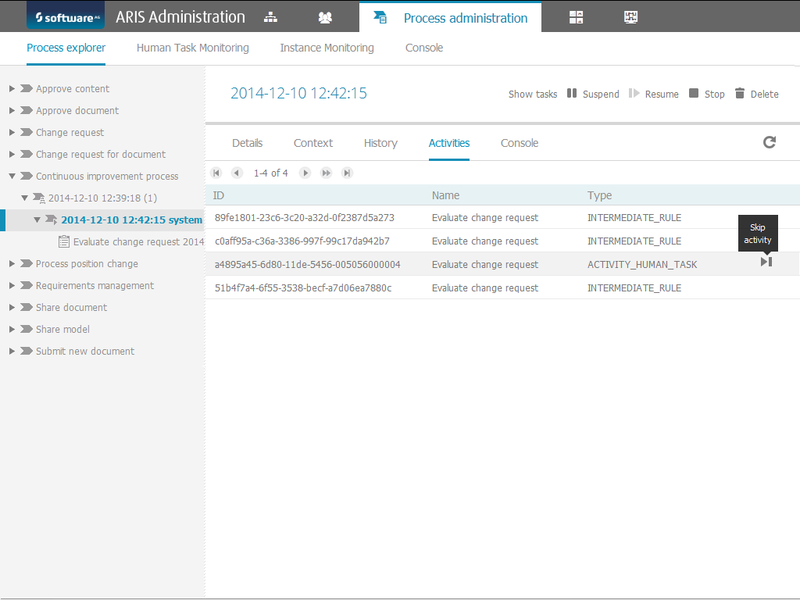 What is the difference between the "Administration" tab in ARIS Architect and ARIS Administration? How ARIS supports you in modeling matrices. How ARIS assists you in modeling BPMN diagrams. How you are supported to carry out your tasks with ARIS. 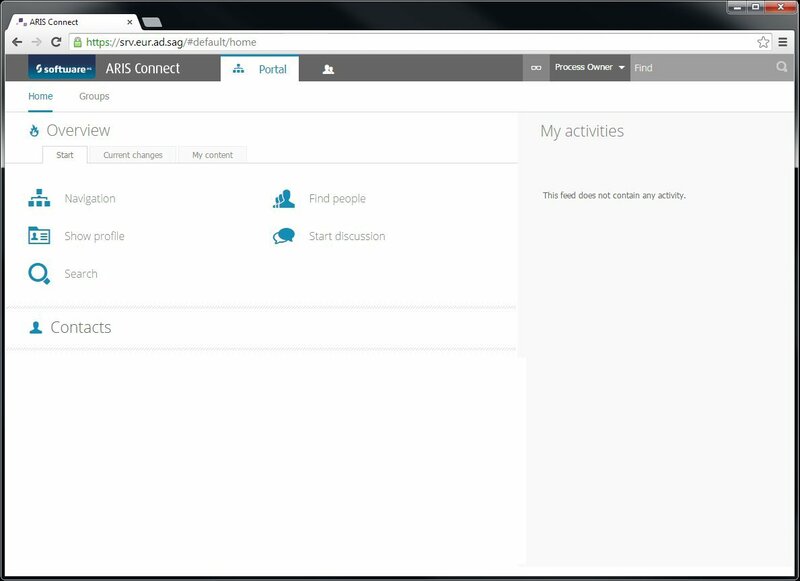 In this tutorial you will learn how you are supported to carry out your tasks with ARIS. This tutorial will show you how the User Management Console centralizes license management and distribution in order to reduce workloads and data inconsistencies, and increase transparency. 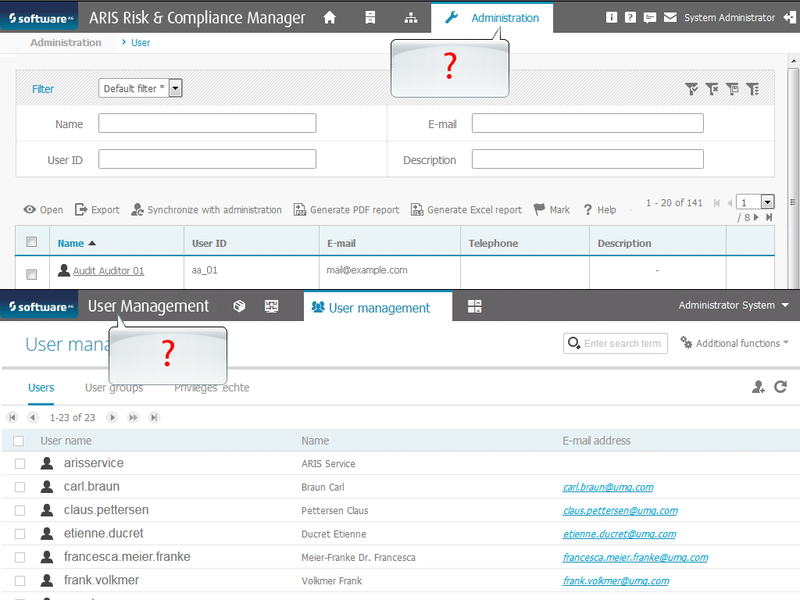 What is the difference between the "Administration" tab in ARCM and ARIS Administration? This tutorial will show you the Connectivity for SAP Solutions.